IMPS College of Engineering and Technology Malda, which is also called IMPS CET, has come ahead as one of the leading technological educational institutions in the eastern part of the country. It is a part of a trust known as IMPS Educational Trust. Established in 2003, the institute has completed more than a decade of dedicated services to fulfill the needs of technical education of the students in this region. 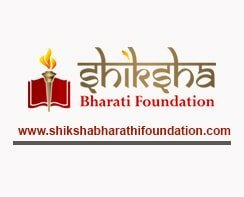 Its vision is to impart quality education so that students get the opportunity to build a sound foundation of a bright future in the career world. The institute brings together the best of theoretical and practical knowledge to build comprehensive professional framework for the students. IMPS College of Engineering and Technology Fee Structure has been framed in such a manner that quality education has become affordable for one and the all. Excellence in education is what the name has been associated with it and to fulfill this goal, the college combines the best of infrastructure with modern facilities. Together, they ensure that students get an atmosphere which is conducive to learning, so that they can take up the challenges of the global professional scenario in a stride. IMPS College of Engineering and Technology has been approved by AICTE, New Delhi and also has received the affiliation of West Bengal University of Technology, Kolkata. 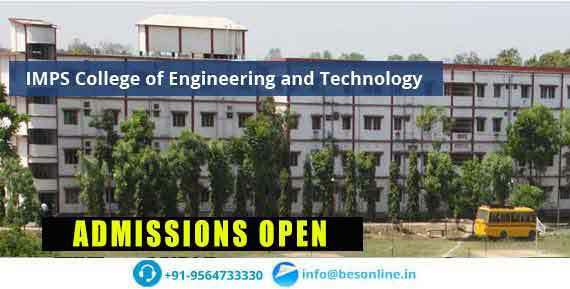 Qus: How do I get an admission in IMPS College of Engineering and Technology? Ans: If you are looking for direct admission IMPS College of Engineering and Technology , Bright Educational Service is the right place for you which have India's top most direct admission consultants and where we give 100% assurance of admissions in India as well as admissions abroad. Qus: Which are the entrance exams accepted by IMPS College of Engineering and Technology? Ans: IMPS College of Engineering and Technology, Malda, West Bengal, will accept the entrance exam scores of WBJEE for admission. Qus: Does the IMPS College of Engineering and Technology college have hostel facility? Ans: Yes, IMPS College of Engineering and Technology has separate hostel facility for both boys and girls. It is situated in inside a campus. Qus: What are the infrastructural facilities provided by IMPS College of Engineering and Technology?